This past week was a pretty slow week bookwise. I'm actually happy about that because reading for class and writing papers have taken up all of my time outside of work. As a result, I've barely been able to get to the TBR pile. Hopefully towards the end of the week I'll have time for more reading. Summary from Goodreads: A young girl sets out to save her sick mother and records her adventures in quilt pieces. Historical fiction is a genre that I love to read even though I don't read it that often. So, I was excited when we got our library copy of Leaving Gee's Bend. 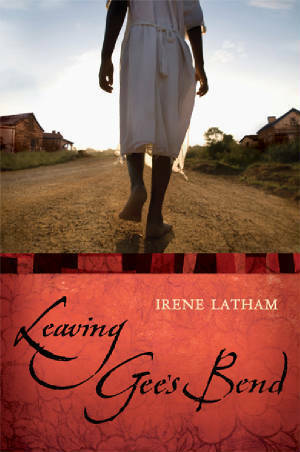 While the cover of Leaving Gee's Bend isn't my favorite, the summary really makes me want to read the book. 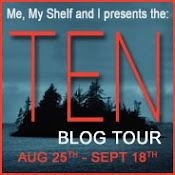 Have you read Leaving Gee's Bend? If you have, what did you think? Summary from Goodreads: Torn between two destinies? Thanks to Jami at YA Addict for holding an ARC Tour for Claire de Lune!! I'm about halfway through and so far it is terrific. The story grabbed me from the beginning and I can't wait to see what happens next. I have heard fabuous things about Leaving Gee's Bend. Happy reading! I really want to read Claire de Lune so I'll be looking forward to reading your review. I've not read Leaving Gee's Bend but it does sound interesting so I hope you enjoy it. Leaving Gee's Bend looks really good. I enjoyed Claire de Lune as a different kind of werewolf novel. I hope you like both of them. Both of those are supposed to be great, so I hope you enjoy them! I have to admit it, I'm a sucker for werewolf books. They're my favorite paranormal creatures. I look forward to your review of Claire de Lune! Claire De Lune looks really good- I've read some great reviews for it. I hope you enjoy your books this week! 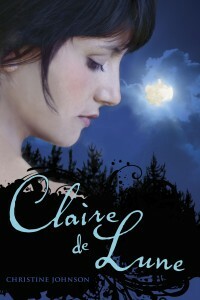 I want to read Claire do Lune! I hope you enjoy the books you received this week! It's always nice to have a breather once in a while eh? :) Happy reading.